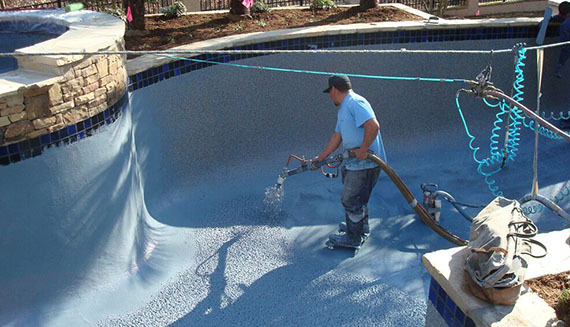 Below is a summary of what you can expect with most swimming pool replastering and refinishing projects in Los Angeles and Ventura Counties such as Newbury Park, Thousand Oaks, Westlake Village, Oak Park, Agoura, Calabasas, Malibu and Hidden Hills. Every project is different, so please keep in mind the schedule may vary a little while we go over your personal timeline during our consultation. 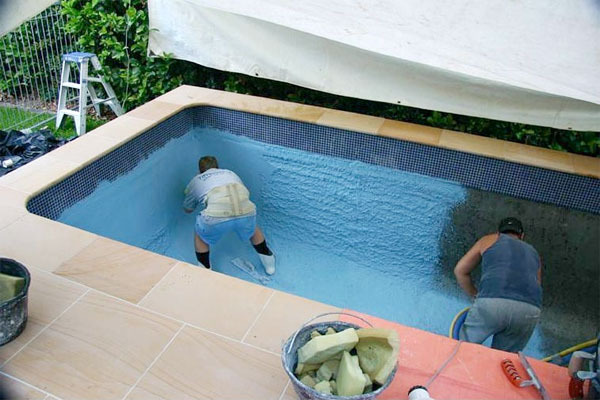 The first step of the swimming pool replastering process is draining your pool, which generally takes less than a day. You don’t have to be home for this as long as we can access your backyard. We will drain water to the street unless you would prefer it to be directed to a lawn or other landscaped area. 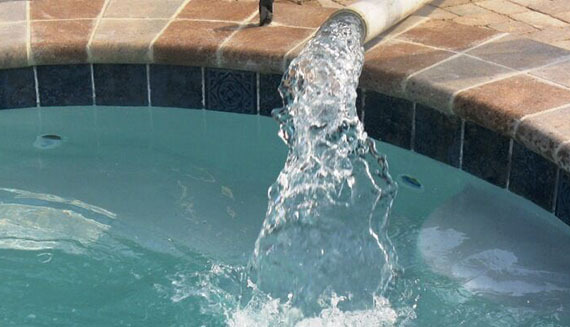 Once your pool has been drained completely, our team will thoroughly prepare your pool for replastering by chipping off the plaster, and removing the tile according to the resurfacing design you’ve chosen. To do this, we need to use jack hammers and pneumatic tools. We will do our best to cover and protect your backyard area. In order to ensure your property is 100% safe and clean, we suggest moving any patio furniture and potted plants to another area. Afterward, all of the debris is cleaned up and hauled away by us. The chip out process can be completed on the day following the draining. 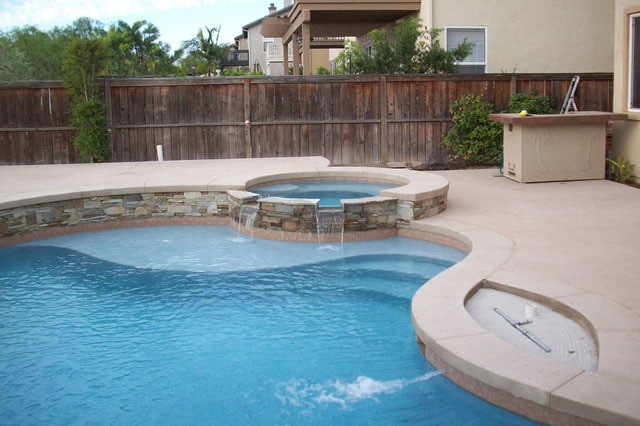 After all of your old material is removed, our tile and masonry team will install any tile, coping, or decorative features that you’ve selected during the design process. This is done on day 3 and at this point, we’ll want to finalize all of the design details for the pool with you. You will need to select grout color and tile, and provide us with any special design requests. 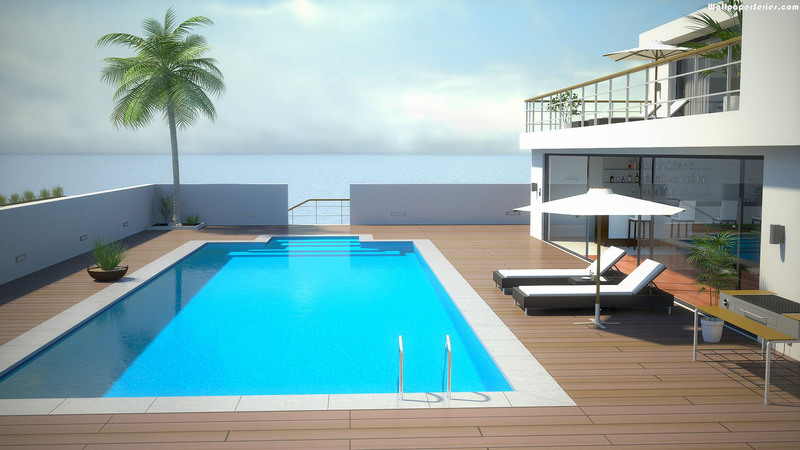 After double checking the seals of your plumbing as part of our final pre-plaster inspection, our team will return for pool replastering with your chosen surface material, which usually takes 1-2 days. 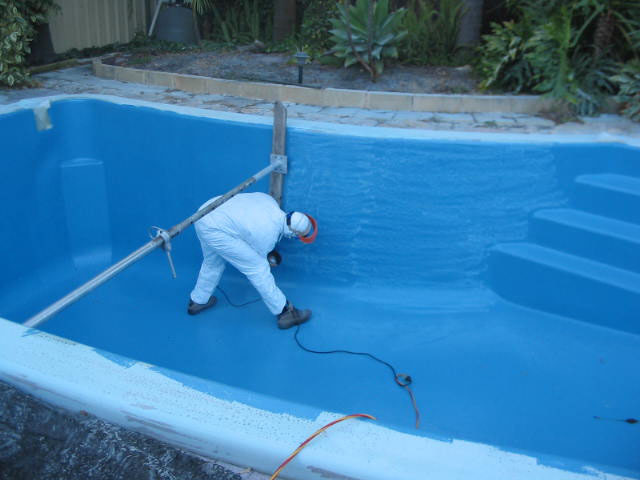 Once the swimming pool replastering material has been applied, your pool can be refilled. 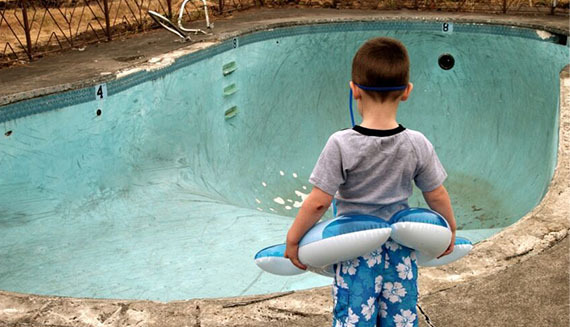 Refill times can vary according to the size of your pool. 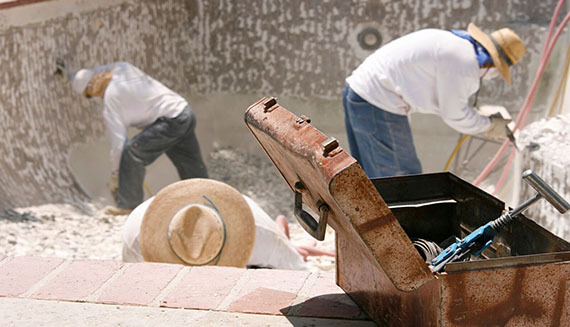 Once filling is complete, the final step in resurfacing can begin, which is known as a start-up. This involves rebalancing all of the chemicals and allowing the new surface to cure properly. Testing the water for pH, alkalinity, calcium hardness and metals. 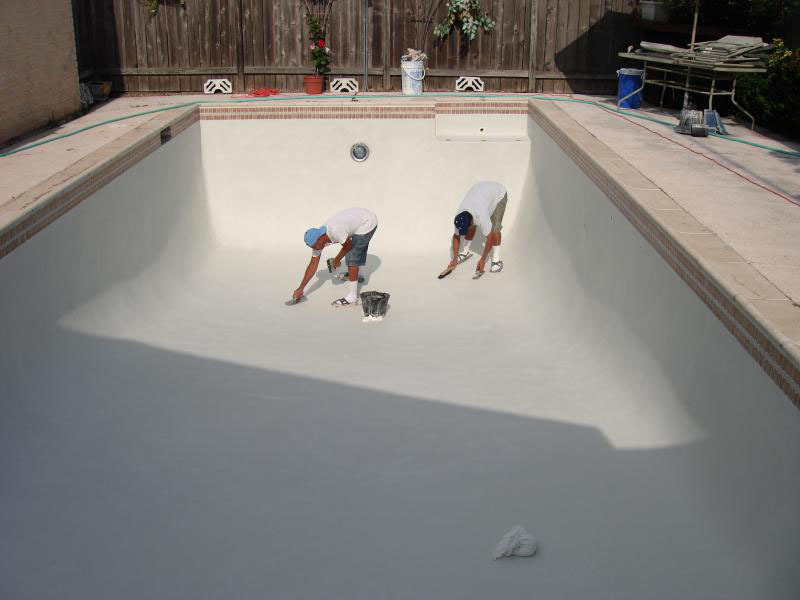 Brushing the entire pool surface thoroughly twice daily in order to remove all plaster dust. Running your filter continuously for a minimum of 72 hours.